Start a Business with the combination of your Passion and Skills. Pick a Business to have a positive impact on you and on society. Start a Business in that market in which you had worked earlier. Always choose a market which has very low competition. Select a Business which have sufficient amount of customer. These are the few Factors to Consider before Starting a Business. Many entrepreneur wastes so much time on planning their “The Perfect Business Plan“. A research shows that 80% successful businesses in the world, modified their business Model according to need of their customer. 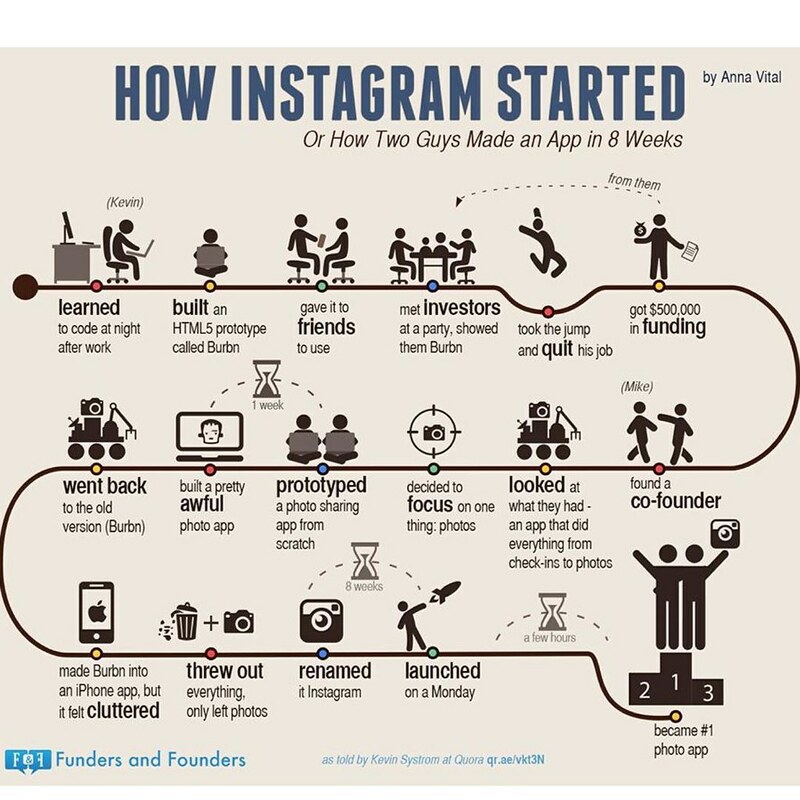 Take an example of Successful photo sharing app “Instagram” , they have started as “Burbn“. In early days of Burbn app, it is used for planning meetings or check in with friend and posting meet-ups photos. At that time Burbn was not so much popular and very complicated app with a lot of features which people don’t like at all. But after realizing that people loving only photo sharing feature in it, Burbn remove all extra dirty features and re-invented to Instagram App. After this step Instagram app becomes one of the most used app in the world. The point of concern is that you have to Plan a little and do more. Just make a simple business plan and test it into the market. You need feedback from your customer and modified your business for the betterment of customers. Planning the business according to the real feedback and response from the customer is the “Perfect Business Plan”. “Analyzing the market before entering it” is the best advice before starting any business. Many successful entrepreneurs like Sachin Bansal (Flipkart Co-Founder) analyze the market before entering into the business. Sachin Bansal had worked in Amazon before starting his own E-Retailing Company ‘Flipkart‘. While starting any Business, there is a scope of understanding the market issues and its requirement. If your business can fulfill that requirement only then your business can be successful. Rent your property to produce income sources. Earning from royalty is also an option; many website like royaltyexchange will pay for your royalties. Start some trading side business for generating an income source. You can also raise funds from friends and family if they support your business Idea. These are the few important factors to Consider before Starting a Business. This is the golden rule of business which is told by many successful entrepreneurs like Warren Buffett, Robert Kiyosaki. You have to start earning something before increasing you’re spending on your business. I know if I gave you 1 million dollar for your business, you will find 1000 ways for spending it. But you will not find 1000 ways of making Money. That’s real truth! People often find some different ways to spend money. But most of them are not much concern of making money before spending it. Many successful businesses start small with minimum spending, but gradually they scale up to worldwide. You have to start small with minimum investment into business and gradually invest more as you start earning from it. So, you have to gain an attitude to earn something before spending it. If you are planning to start a business alone, this is totally wrong approach to do it. You need a helping hand for your business. Entrepreneurship is lonely process, you need someone who can encourage you during failure and believe in your idea. Steve Jobs has Steve Wozniak, Bill Gates has Paul Allen and Sachin Bansal has Binny Bansal for them. So, find a person which believes in you and willing to start their entrepreneur career along with you. If you are starting a business for the first time, you should start a habit to accept some failures to achieve big success. Many great successful entrepreneurs make many mistakes in their initial days of their business. But every time they fail in something, they surely learn something from those mistakes. They believe failure is the first step towards success. Successful people always accept failure and don’t blame others for it. I give you one example story for this. In 1973, APJ Abdul Kalam(Indian Former Great President) becomes the project director of India’s satellite launch vehicle program(SL-V3). He got a team of scientist and engineers whose main goal was to put ‘Rohini‘ satellite into the orbit. In August 1979, they launched Rohini satellite and failed miserably. But they accept this failure and learned many thing from it. In 1980 they successfully launched it again and this time successfully put Rohini satellite into the orbit. So, the best thing is to accept your failure, learn from it and move forward toward success! Many entrepreneurs fail because they over think about taking any decision. A successful business owner do not over think to take decision, instead of this they take decision and make it right. Successful people always have a habit of thinking less and doing more. By taking actions on their decision they increases the chance of making them right. But if they failed in some decision, they surely learned a lot from it and gain experience. Experience is the key element of success in business. You need to invest a large amount of money into developing product. You need to invest money to market it out. You need more employees to manage and handle product based business. You need big office and inventory to handle product business. No surely of product going to sell like hot cakes. Service business doesn’t need a lot of money to start. People are happy to pay on services rather than on products. Start-ups like Uber, Airbnb or Amazon, all are Service based Start-ups. Service businesses are low rate of failure. You need less people to handle your first service business. You don’t need anything except your time to start your first service business. This is the last Factors to Consider before Starting a Business. “Never Start a business until it is an obsession”, this is best advice given to me by Gary Vaynerchuk. Start a business that you are most care about. Don’t go for those businesses which everyone doing. Instead of this look yourself and select a Business which attracts you. You will be never successful if you take business casually. But if you start a business or any start-up which completes you, then you surely gonna succeed. Hope you have learned something from these points and find your success! So, these are few “Factors to Consider before Starting a Business”. If you have more suggestion on it, do comment in the comment box. And share it if you find this information useful.